15 casualties caused by RuAF airstrikes on al-Bab and Tadif, two IS-controlled areas in northeastern Aleppo countryside. Clashes break out between SAA and IS forces in the vicinity of the Infantry Military College, just north of Aleppo. Kurdish forces clash once more with JAN and islamist opposition fighters in Sheikh Maqsoud neighborhood, northern Aleppo. Airstrikes carried out against the IS-controlled village of Mhaymidah, northwest of Deir ez-Zor, caused the death of 9 individuals. These airstrikes were carried out by either the RuAF or the SyAF. Another airstrike, executed by the RuAF, on al-Hussainiyah caused the death of 4. 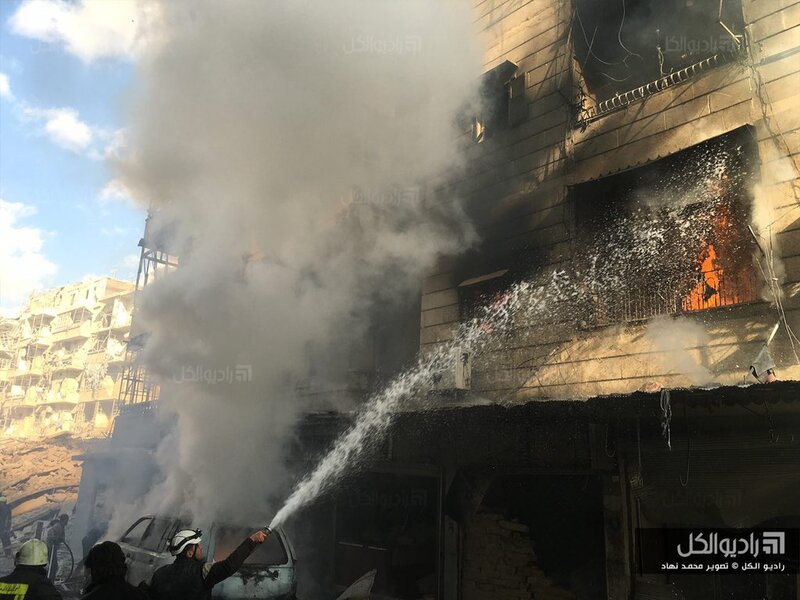 Two explosions were heard today in al-Zahra neighborhood, central Homs. The first explosion was carried out by a man wearing a military uniform inside a vehicle. The man cursed the governor of Homs and screamed thus attracting a crowd of soldiers and onlookers then he detonated the bomb inside his vehicle, an explosion which in turn attracted many citizens to the area. The second explosion, a suicide bomber with an explosive vest, carried out his attack amidst the crowd. 29 casualties reported including 15 SAA soldiers, one of them a police colonel. Aftermath of the two suicide bomb attacks in al-Zahra, Homs. Video Courtesy of @Hamosh84. A mother and two of her children were killed by SAA shelling on al-Ghantu, a village 10 km north of Homs. Clashes break out between SAA and IS forces in Sadad, southern Homs Governorate. Reports of casualties on both sides. Aftermath of explosion in Sukkari neighborhood, Aleppo. Image courtesy of راديو الكل. 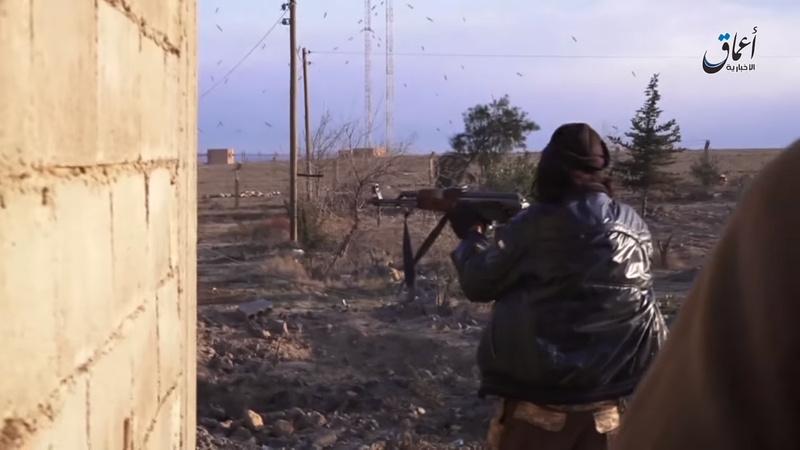 After accusations of betrayal between two opposition factions, Jaysh al-Yarmouk and al-Muthna al-Islamia movement, clashes broke out between the two sides in Nassib, a village just 11 km southeast of Daraa. 3 Jaysh al-Yarmouk casualties reported in addition to more casualties on both sides. Jordanian artillery fire hit al-Muthna positions, no casualties reported. 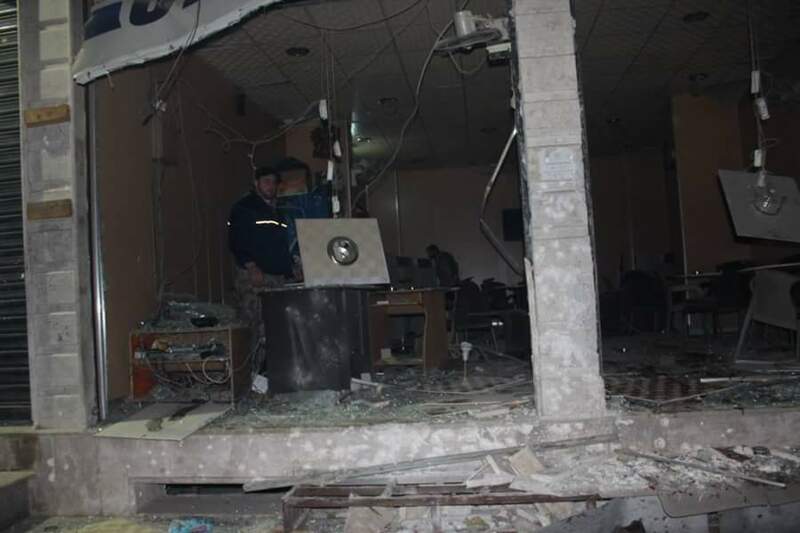 Aftermath of VBIED explosion in Qamishli. Image courtesy of @EshuAssyrian3. 33 killed by airstrikes of unknown origin (SAA/RuAF) on Khsham, a village 13 km southeast of Deir ez-Zor. A higher level of intensity can be witnessed in the airstrikes that have been targeting areas under IS control ever since the attack on Deir ez-Zor. IS shelling of SAA-controlled al-Jorah neighborhood, northern Deir ez-Zor, caused the death of 3 individuals. 44 killed by SyAF and RuAF airstrikes on al-Boleel and al-Tabiyyah Jazeerah, two villages in southeastern Deir ez-Zor countryside. SyAF airstrikes conducted during the night caused the death of 5 in al-Khuraytah, north of Deir ez-Zor. Airstrikes conducted by fighter jets of yet unknown origin on several locations inside the city of Raqqah, the IS-stronghold in Syria, caused the death of 32 individuals. The number of casualties is expected to rise due to the severity of the injuries caused. 12 killed by airstrikes on Madan, an IS stronghold in eastern Raqqah Governorate. These airstrikes were apparently conducted by SyAF or RuAF fighter jets. RuAF airstrikes killed 5 individuals in IS-controlled city of al-Bab. 2 children, 2 women, and one man were killed by SyAF airstrikes on an area between Aleppo and Ihris. Clashes renewed between SAA and opposition forces in Bashkuy, northern Aleppo. IS fighter firing on SAA locations in al-Baghiliyah battlefield. Image courtesy of IS media. The numbers of casualties caused by the large-scale offensive of the IS fighters on Deir ez-Zor has reached 120 SAA and NDF fighters, 70 IS fighters – 28 of which carried out suicide attacks with either a VBIED or a suicide belt, and 85 government-loyal citizens from al-Baghiliyah. Clashes continue in the area in a less intense manner. 4 NDF fighters that were killed in the Deir ez-Zor fighting were hanged on walls in the village of al-Boleel, 26 km southeast of Deir ez-Zor. Apparently in response, heavy SyAF airstrikes hit the village and cause the death of 12 individuals.